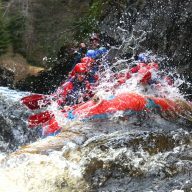 Qualified to the highest levels our guides experience is what makes Full On Adventure so special. For our guides Adventure sports are their full time career, so you can be sure they have the local knowledge and skills to deliver inspirational coaching and guiding. 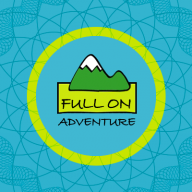 John Mason, Full On Adventure’s director has over 25 years experience in the adventure sports coaching and guiding field. Specialising as a kayak coach, and a qualified teacher with high level adventure sports coaching qualifications in a wide range of outdoor pursuits, he has worked for the national adventure guides training school, several leading outdoor education centers and traveled widely on expeditions kayaking, Ski Mountaineering, Mountain Biking, Climbing and on other adventures. As a BCU level 5 coach (the highest UK coaching award for Kayaking) John still actively guides our groups on a regular basis. All the guides that work for Full On Adventure are activists in their sports and that is what drives them to live and work in the Scottish Highlands. When we’re not guiding adventures you’ll find us out on the great local rivers, riding the amazing mountain bike trails, exploring the coast by sea kayak or climbing, skiing, boarding or walking in the mountains. So if you get the answer phone you know why, but do leave a message or email us, as we will get back to you as soon as we get in and can’t wait to get out there again with you on a Full On Adventure. 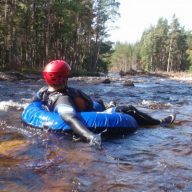 It’s quite simple, for the best in outdoor adventures in Aviemore, Inverness, the Scottish highlands and probably the World, Full On Adventure are the team to do it with. Our heated indoor changing rooms and meeting location is Full On Adventure, The Old Pavilion, Inverdruie, Rothiemurchus, Aviemore PH22 1QH. Post can be sent to direct to Carrbridge address, Full On Adventure, Carrbridge, Inverness-shire, PH23 3AX, UK.